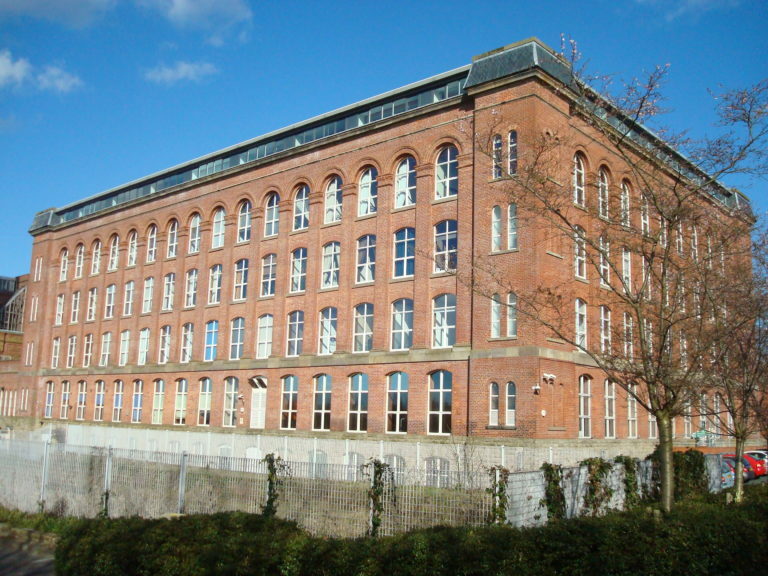 Houldsworth Mill was once a great cotton mill and the primary source of employment in the area. 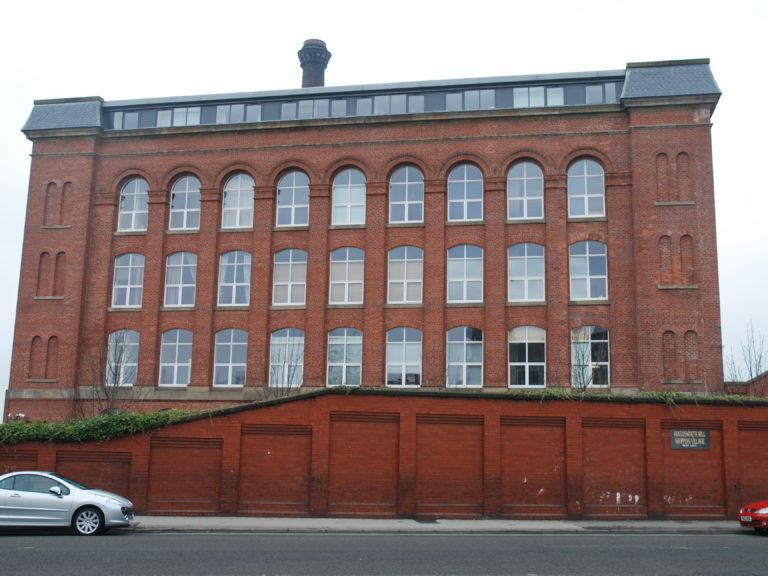 Now it is owned by The Guinness Partnership and has been converted into residential housing. 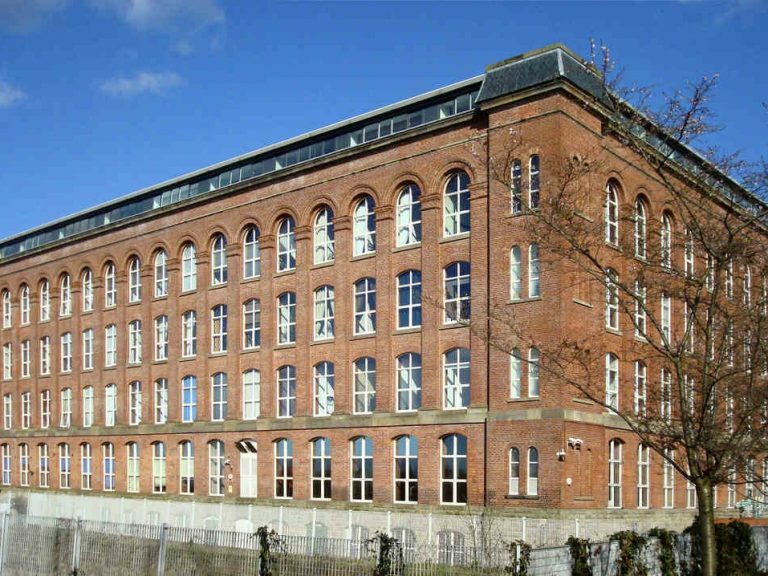 Houldsworth Mill was built in the late 1860s and was a great cotton mill of its time and the primary source of employment in the area. 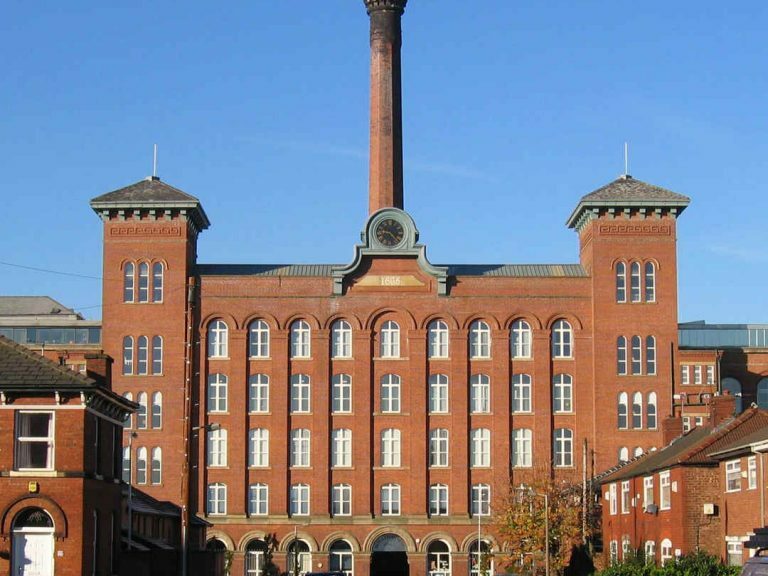 It has now been converted into residential housing and is owned by The Guinness Partnership which owns over 50,000 homes and employs nearly 2000 staff delivering services to more than 100,000 customers nationwide. The Mill is in a conservation area and was originally refurbished in 2000 by the association. 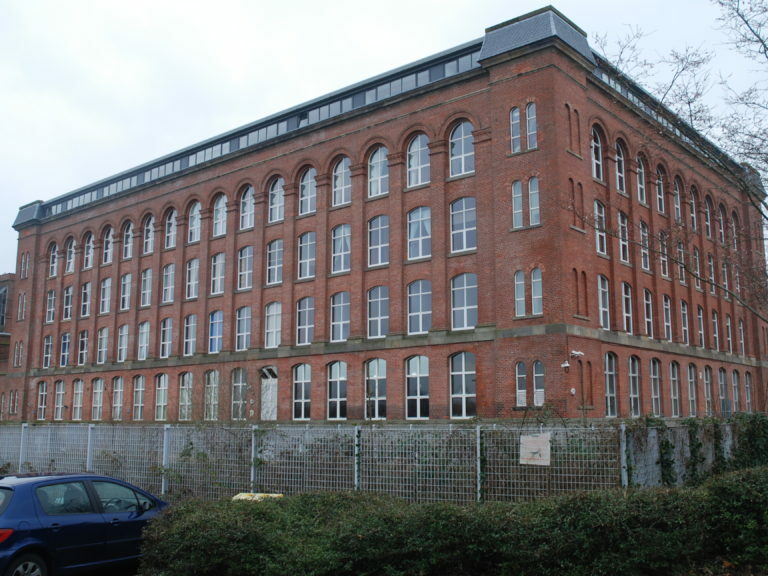 This converted Victorian Mill needed to replace windows from another supplier which had been fitted during the original 2000 refurbishment and had proved to have poor performance. 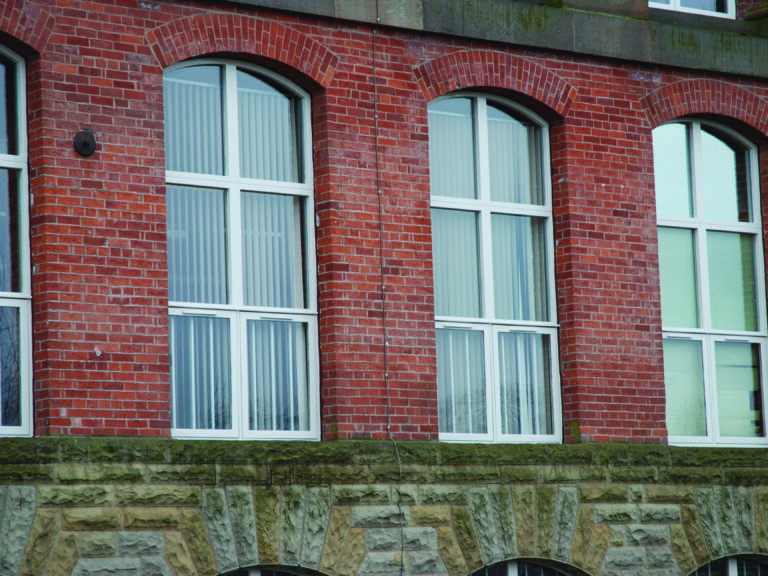 Local conservation requirements meant that a matched design was needed to replicate the original arched top style, with elegant and slimmer sections and vents that were invisible. Improved acoustic performance was desirable for residents in this busy location with shops and a sports club in close vicinity. 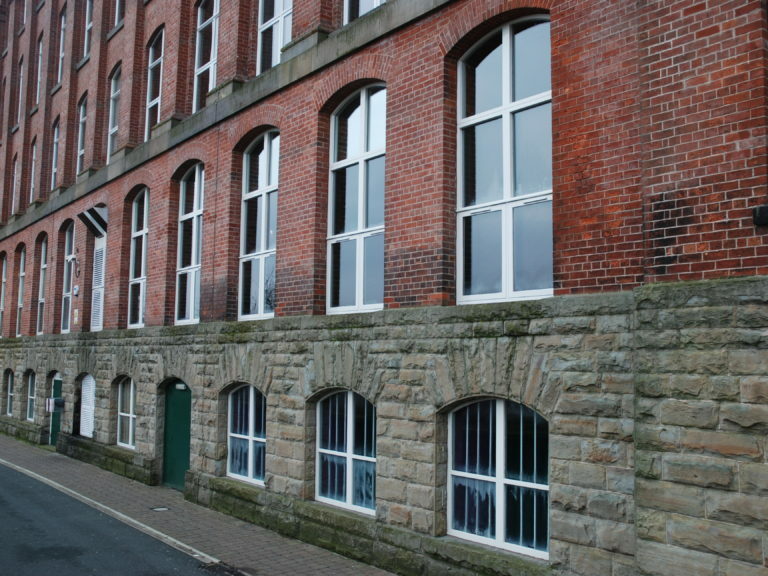 George Barnsdale and Sons manufactured arched top, high performance flush casement windows for Houldsworth Mill. Direct glazed panels were required to give slender timber profiles which tend to be fragile, so Accoya beads were employed to give a more stable and long term performance. 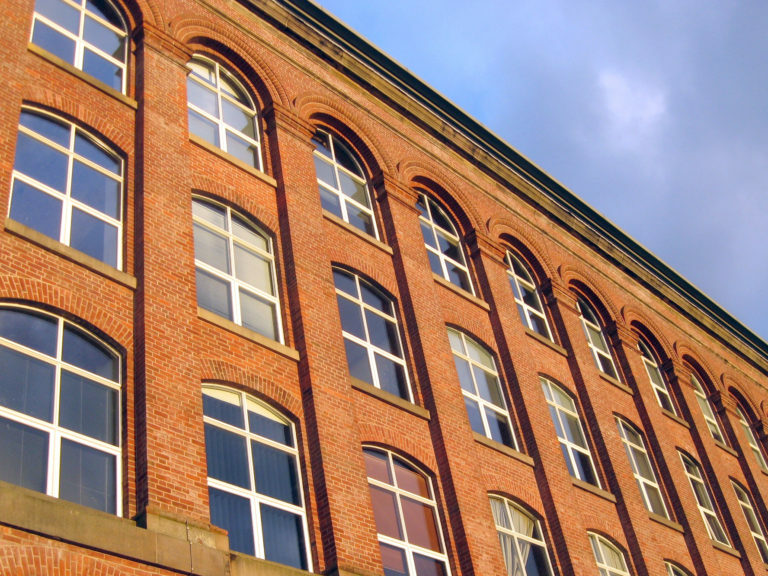 For opening sashes, the tried and tested internal beading system from Barnsdales gave a high performance fully ventilated system. Vents were specially hidden in transoms to satisfy the conservation aesthetic. 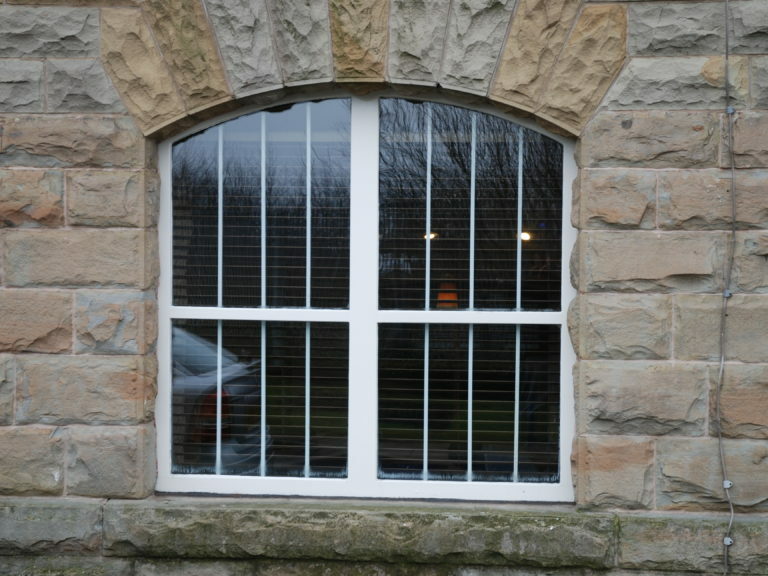 Slender timber sections give an elegant appearance at Houldsworth Mill. Long term durable product with excellent proven weather performance replace poorly designed failing products. Long lasting Sikkens factory applied paint finishes. Excellent acoustic properties developed from comprehensive acoustic testing. 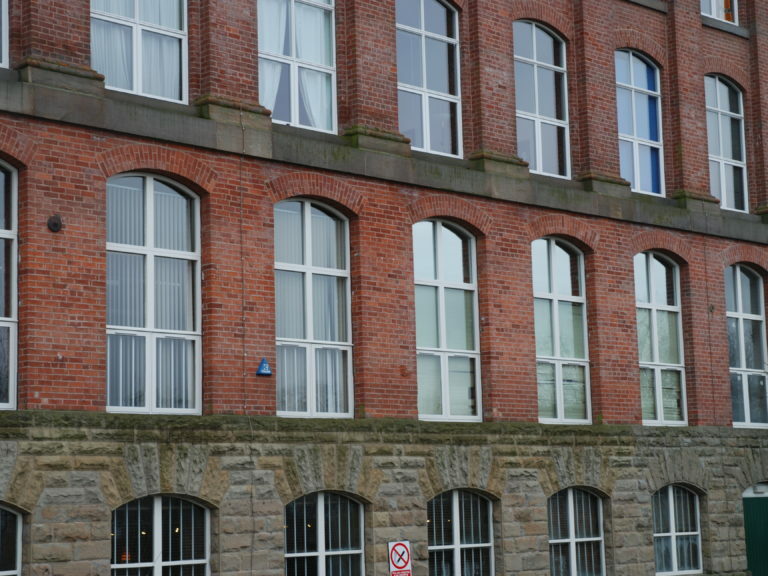 “We needed to sort the windows and knew they needed to be spot-on this time, and they had to be timber as the building was in a conservation area. We decided to go with George Barnsdale simply because they offered the best product and they did exactly what we wanted. We also appreciated the fact that Barnsdale had been around forever and had a solid reputation and history behind them that offered us the guarantee and confidence that we needed – they were never just a standard joinery firm. 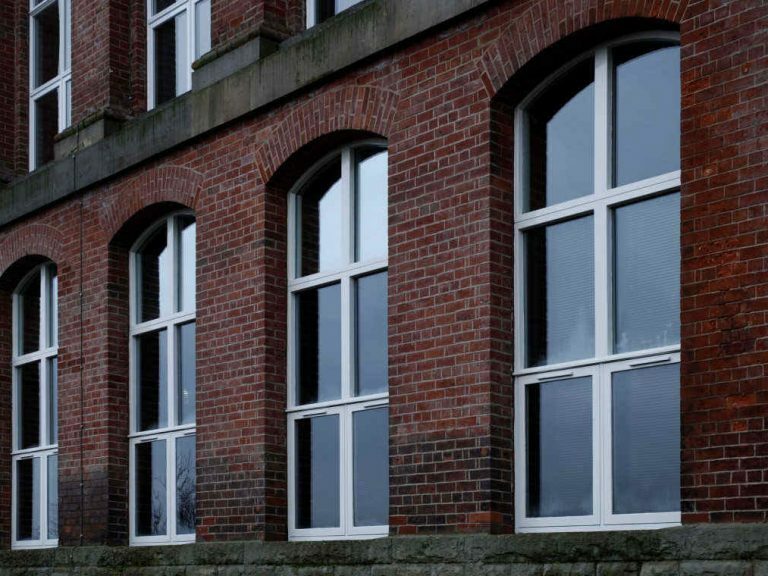 They are very good windows that were tailor-made to meet our exact specification and designed in such a way that they are a faultless replica. The detail was excellent, all the way down to the handles which look great and have a lovely feel to them. But whilst they are aesthetically the same, they are much more functional and of a much higher quality. They also have a fantastic paint finish and the great thing is that they come with a 10 year guarantee which is excellent news for tenants who are going to be saving in the region of £80,000 to £100,000 collectively on re-painting, as it would normally have to be done twice within a 10 year period but these won’t need to be done until 2019! They have been performing exceptionally well and the reception from the residents has been brilliant. They love them and feel they are so much better than before. 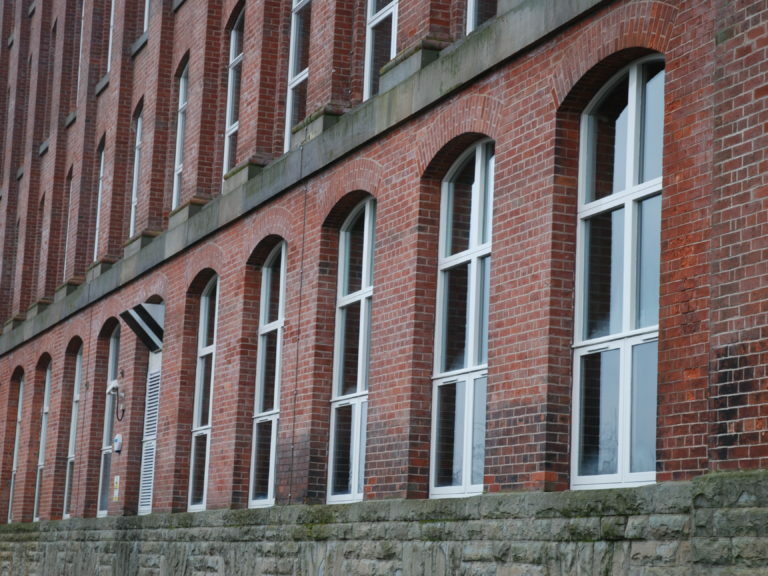 In particular, the windows were designed to have improved thermal efficiency but they have also proved to have the added quality of cutting noise transmission from outside. Residents are thrilled about this and since their installations we have had no more complaints about can noise on one side of the building, or water ingress noise on the other side – both of which were common nuisances before. Phillip Holland, Service Manager Maintenance – Leasehold, Guinness Northern Counties.